The impact of Google and Facebook across the media industry is being scrutinized in Australia. The competition regulator in Australia said on Monday that it was directed by the country’s federal government to investigate if internet companies were hurting content creators, advertisers and consumers. As in other countries, the media industry in Australia has been hit hard by the rise of the digital platforms, while print newspapers have suffered for years from declining advertising revenue as businesses shift spending to online, much of it to giants in the industry, such as Google and Facebook. Rod Sims, chairman of Australia’s Competition and Consumer Commission said that as the evolution of the media sector continues, growing concerns exist that digital platforms have and continue to affect traditional media’s capacity to fund content development. A spokesperson for Facebook said the social media giant would cooperate fully with the inquiry from the commission into the media market in Australia. The spokesperson added that while news was just a small fraction of the content that is shared on its services, our role in today’s media ecosystem is very important and we invest substantially in products that help publishers. Australia’s inquiry becomes just the most recent probe into the increased role of worldwide internet companies. Google and Facebook have been hit with much criticism in other countries due to their large influence across the media landscape with their critics question the efforts of the tech companies to police content shares on the platform of both. U.S lawmakers questioned Facebook, Google, and Twitter executives in November over the way foreign nationals were able to use the social media platforms to disseminate misinformation during the presidential election of 2016. In particular Facebook is up against questions across the U.S. over ads a troll farm in Russia purchased during the election. 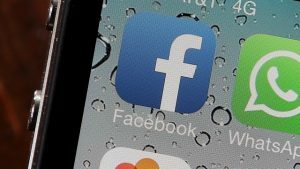 While in Britain, Facebook has been asked to give up information on any advertisements purchased by accounts on the social media platform that were Russian linked around the general election last June and the 2016 Brexit referendum. Google has found itself in the U.S. Congress crosshairs over ads bought by Russians on the platform that were intended to spread misinformation as well, to divide America prior to the presidential election of 2016. The probe in Australia appears as if it is focused on the effect the two tech giants have on market competition, but will examine as well the impact they have on the news industry in the country.